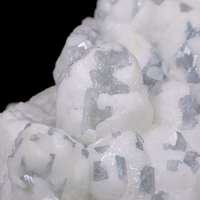 Copyright © Rob Lavinsky & MineralAuctions.com - This image is copyrighted. Unauthorized reproduction prohibited. 10.8 x 5.4 x 5.2 cm. 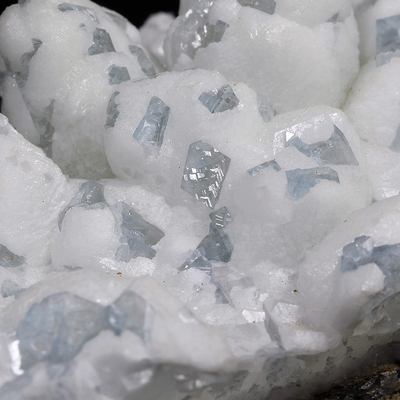 A classic old-time specimen from the Mojina Mine in Chihuahua. 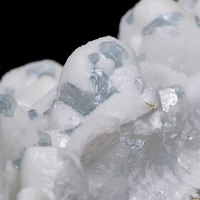 Beautiful blue celestine and white calcite are intergrown to form somewhat "stubby" finger-like protrusions flaring out of the underlying matrix. 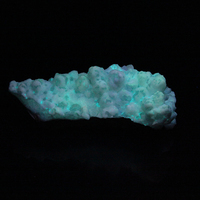 I'm told that the green fluorescence is actually caused by a minor coating of hyalite opal (opal-AN). 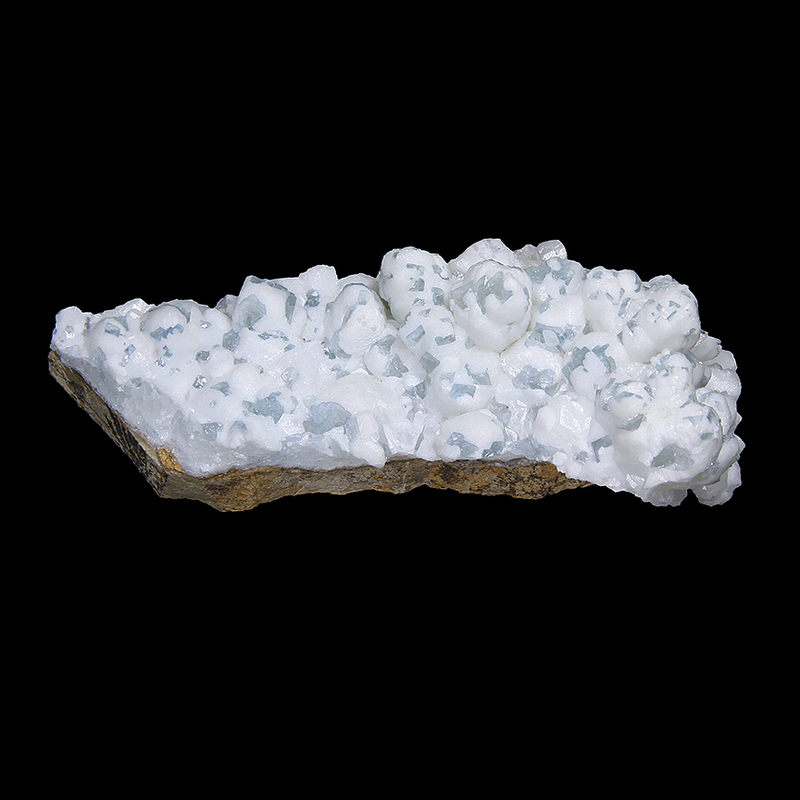 This specimen comes from the collection of Willard W. Wulff (1904-1998) of Colorado Springs, Colorado, a prominent figure and collector of Colorado minerals. 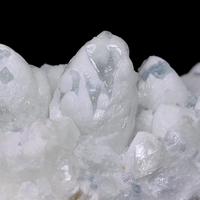 Wulff was one of the founding members of the Colorado Springs Mineralogical Society in 1936. 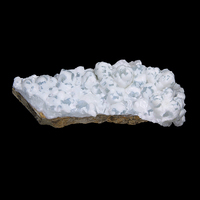 You can read Willard's bio on the Mineralogical Record website here (http://www.minrec.org/labels.asp?colid=1528). 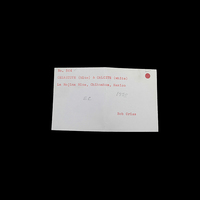 The piece comes with a typed label from Wulff on one of his famous 3x5 index cards that states the piece was acquired from Bob Criss.